35. Fear of flying? 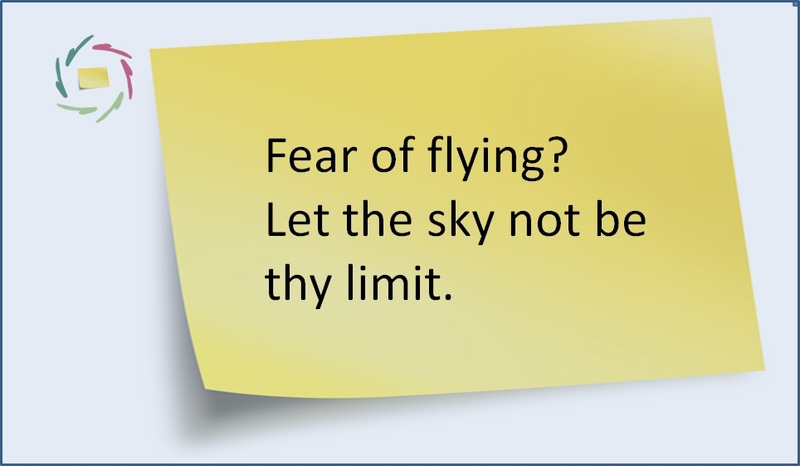 Let the sky not be thy limit. The world is becoming smaller and smaller. Airplanes are getting bigger and bigger. Only fear of flying remains the same. This means that more and more people are in a position that they need to fly, or would like to fly, but are afraid to. The airport is their closed door. But it’s not only peptalk. There’s truth on this runway. You can use it if before take-off you accept the following: fear of flying, like any exaggerated fear, lives in the subconscious. With open eyes, this is easy to see. Any kind of fear is psychological. Well then, since this is an irrational threat and since you cannot consciously choose to have fear of flying or not, there is only one possible domain where it can reside: the subconscious. The subconscious is not a land at the other side of the ocean. It’s an inner land, always present. It has many things to give if you know how to ask. If however you wage a war against it, you can only pillage it. You’re pillaging yourself. So please don’t wage a war against your fear of flying. Don’t try to squeeze it out of you. You yourself are the lemon. Keep your juice. Keep it and transform it if it bothers you. This is: don’t force yourself into a fearful situation, not even while playing the pilot. Rehearsing a flight is in principle a good idea, but doing it while forcing yourself to overcome fear enhances the problem in a broad sense. It opens the scar, deepens the underlying groove even while at the surface it may appear different. A problem that lives in the subconscious is, whenever possible, better solved in and by the same. Consciously, you can very much enhance this by sending invitations and support. Very important is that if you do this in a good way, no fear at all is needed. Fear even becomes an indicator of not being on the right track. Rehearsing a flight without any fear, how to do that? Most importantly: you do it very cautiously. You start with a good relaxation and you never leave this. You keep the feeling of full control, even in your imagination, all the time through. When a fear appears at the horizon, you stop. This is no failure. It’s an important part of a deeper learning process. The ‘fear of flying’ is your communication partner. Feeling it as fear does not enhance the communication. Different methods can be used for the communication, but they all start from this same principle. How much of this communication is needed? That is always different. It depends very much upon the quality of the communication. You can be sure of one thing though: if your subconscious is not afraid of flying anymore, you are not afraid of flying anymore. There is simply nothing left in you that might be afraid. Congratulations then: the space is yours, as well outside as inside you! 12. 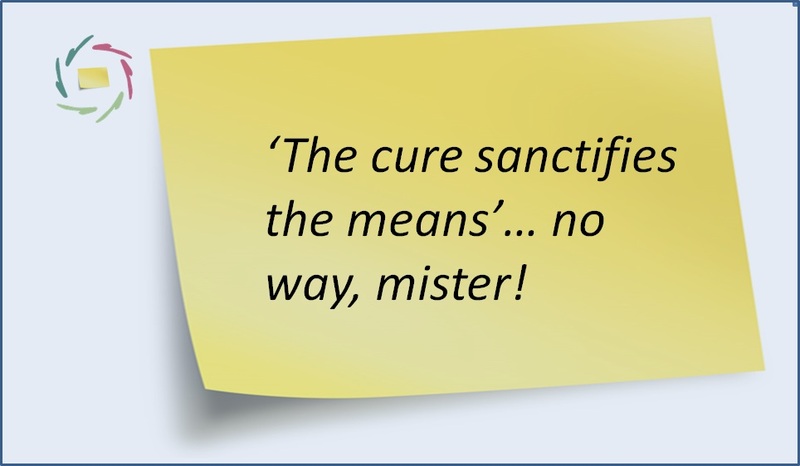 ‘The cure sanctifies the means’… no way, mister! 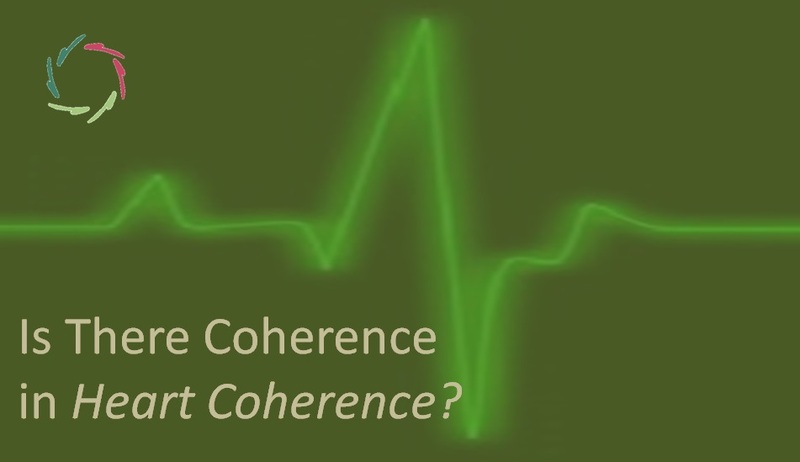 Is There Coherence in Heart Coherence? 13. 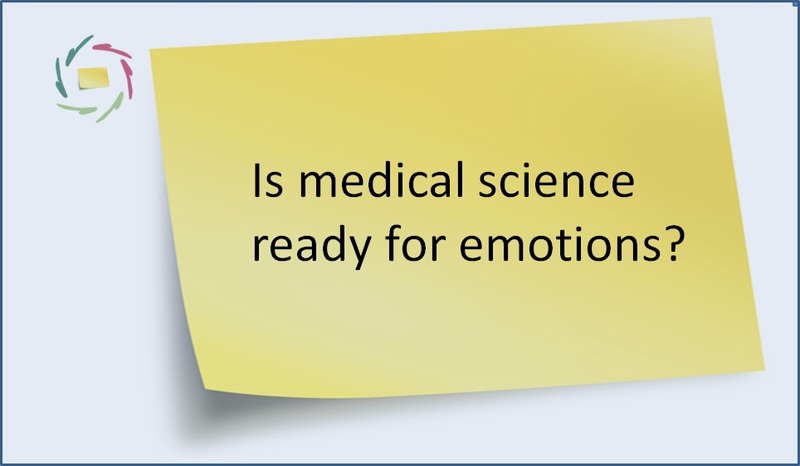 Is medical science ready for emotions? Basic Aurelis website with lots of background information and the opportunity to register. AURELIS Basic Aurelis website with lots of background information and the opportunity to register. AurelisOnLine More than 1,100 sessions of more than 230 domains. Streaming on any computer and further support. AURELIS Coaching Institute Training to Aurelis coaching and further lifetime support herein. Open Leadership Leadership in Openness to yourself and others. Workshop, coaching, information. AureliZEN Towards business. In a few hours and in a group, you learn to know and experience a facet of yourself (even) deeper. Open Mindfulness Open attention is quite different from the usual: open from where the focus comes from within yourself. Cup of Stillness Human warm meditation towards openness, yet firmly within yourself. Quit Smoking Quit smoking as your choice. Without aggression, and only when you're ready. Open Getting Slim Mentally getting slim without fighting yourself. The body follows the mind in deep motivation. Open Stress Free Unhealthy stress becomes healthy stress. Finding (again) a dynamic equilibrium in which inner strength prevails. Open Pain Free Working to alleviate chronic pain in a gentle yet intense way. Burnout Opportunities to grow towards a new stage in your life. Depression Depression being the loss of living contact with one’s deeper self, gets relieved through re-connecting. My Aurelis Coaching Everything related to your coachings, things done and to-do. AURELIS Lectures Dr. Mommaerts gives lectures on AURELIS, Leadership, Burnout etc.